Brick is a durable and long-lasting building material. A properly constructed brick building can last for centuries. Brick buildings, however, require routine maintenance. 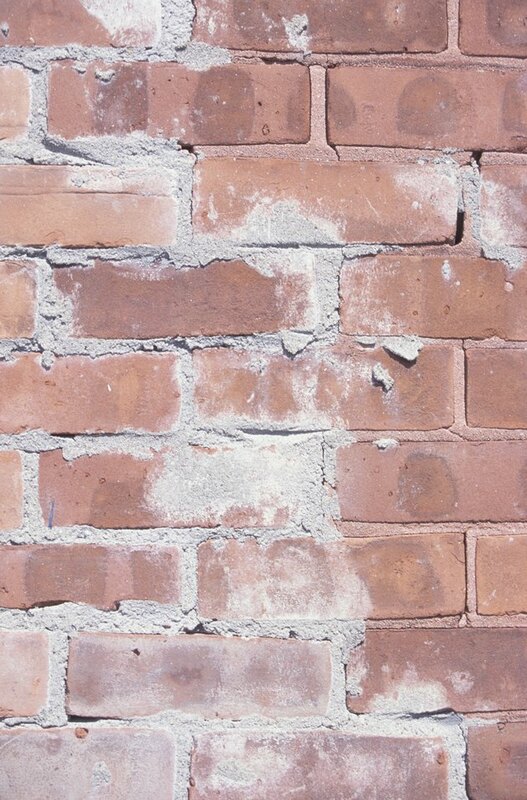 Over time, weather conditions cause the mortar in the brick joints to become cracked and loose. The mortar between the bricks must be repaired to preserve the structural integrity of the building. You can replace the mortar yourself without the help of a professional mason and save money. Brick must be tuckpointed as part of the routine maintenance process. Put on safety glasses and gloves. Safety gear should be worn at all times while performing masonry repairs. Place a chisel flat on a cracked horizontal mortar joint. Tap the chisel with a hammer as you slide it along the mortar joint. Scrape the loose pieces of mortar away from the wall with the chisel. You want to penetrate approximately one-half-inch deep into the mortar joint so that the new mortar will bond properly. Repeat this process on the cracked vertical mortar joints. Run a brush across the mortar joints to remove any remaining loose mortar. The wall should be free of debris. Place pre-mixed mortar in a wheelbarrow. Add water according to the mortar manufacturer's instructions. Use a shovel to mix the mortar and water. Stop mixing when the mortar is completely blended with the water. The mortar should be free of chunks and dry patches. Place a trowel into the mortar. Use the edge of the trowel to scoop out some mortar. You want the mortar to form a line along the edge of the trowel. Place the trowel against a mortar joint. Use a tuckpointing tool to push the mortar into the mortar joints. Fill all the open spaces in the mortar joints that resulted from removing the old mortar. Push the mortar all the way into each crack. Run a jointing tool along the mortar joints to finish the joints. You need to let the mortar dry a while before you strike the joints. The amount of drying time depends upon the environmental conditions. Use the brush to sweep away any debris.